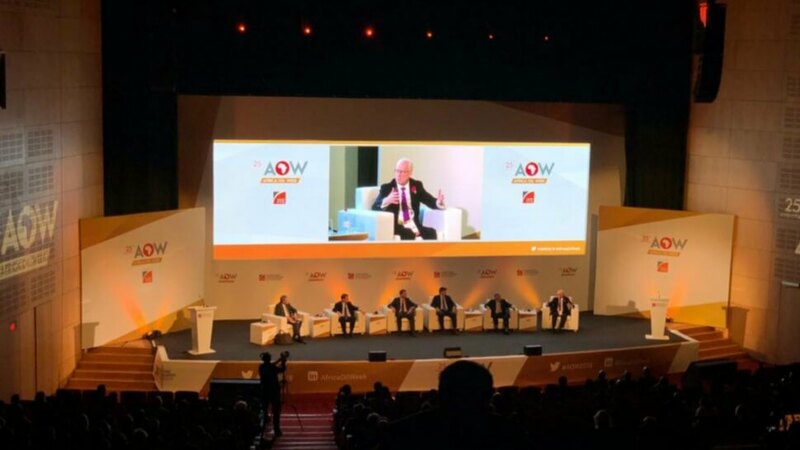 We were delighted to be chosen as the technical supplier for the 2018 Africa Oil Week conference and exhibition held at the CTICC. Our team designed and implemented a full turnkey solution consisting of set design, AV, lighting, staging, IT, and technical support across various venues at the CTICC, The Lookout, and The Grand Beach Café. The main plenary consisted of a large-scale LED video display. 120 LED cabinets were installed into a custom set design with panel area, custom lectern, and neatly carpeted stage top. Other areas included the Prospect Forum, Expo Seminar Theatre, Media, and Meeting Rooms. 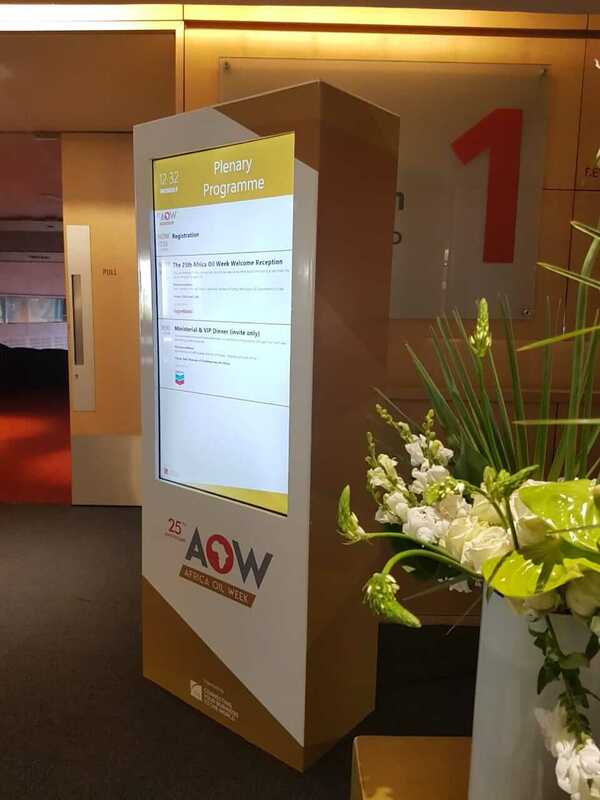 We designed and manufactured neat AOW Display Boxes that housed a laptop and LCD Panel to provide information to delegates. The event also consisted of a Gala Dinner at The Lookout, filled with architectural lighting and sound to support the great entertainment and DJ. The final day saw guests and delegates invited to the Grand Beach Café for a beautiful Cape Town’s summer braai! Well done to all the suppliers involved in making this such a fantastic success!